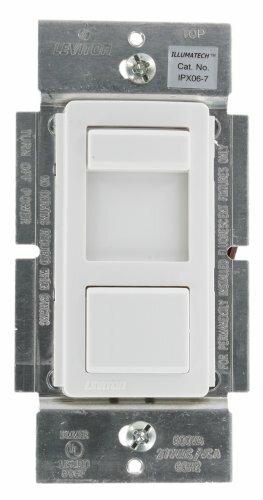 The Leviton IPX0610Z is a preset slide dimmer switch from IllumaTech product line. It is known for optional programming feature. With the help of the dimmer switch you can reduce energy use and extend the life of a light bulb. With a lowprofile fluid slide bar, adjusting the light level has never been easier. After setting your preferences, you won't need to adjust these settings again when turning on the light. There are models available not only for magnetic or electronic lowvoltage lamps, but also for incandescent ones. Some models have a builtin LED locator light. 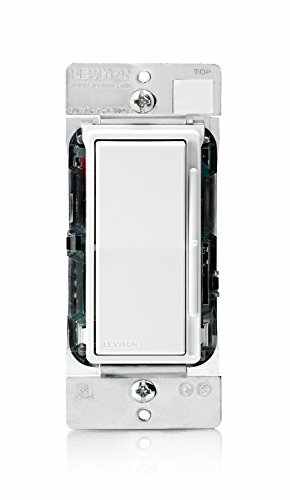 Leviton brand provides only highquality products, while enhancing safety. 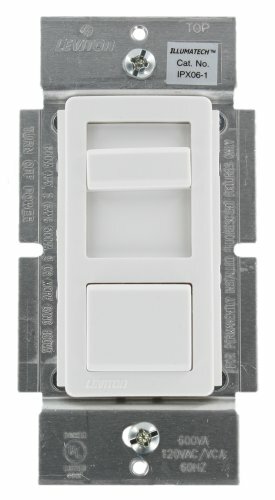 The Leviton IPX0670Z is a preset slide dimmer switch from IllumaTech product line. It is known for optional programming feature. With the help of the dimmer switch you can reduce energy use and extend the life of a light bulb. With a lowprofile fluid slide bar, adjusting the light level has never been easier. After setting your preferences, you won't need to adjust these settings again when turning on the light. There are models available not only for magnetic or electronic lowvoltage lamps, but also for incandescent ones. Some models have a builtin LED locator light. Leviton brand provides only highquality products, while enhancing safety. 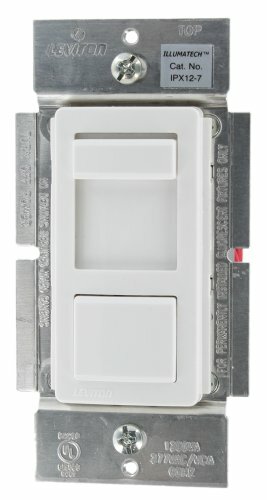 Vizia + 1200VA-277VAC Fluorescent Dimmer for Mark 10 Powerline Ballasts for single pole, 3-way or more applications, with LED locator and brightness display. 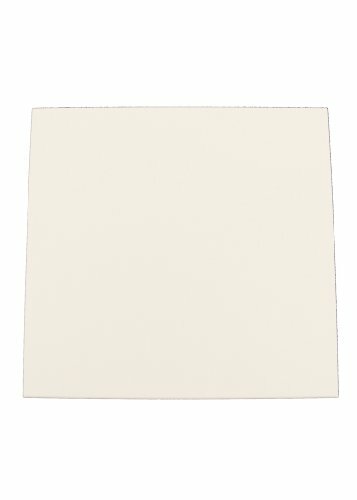 White face assembled on device, ivory and light almond faces included. 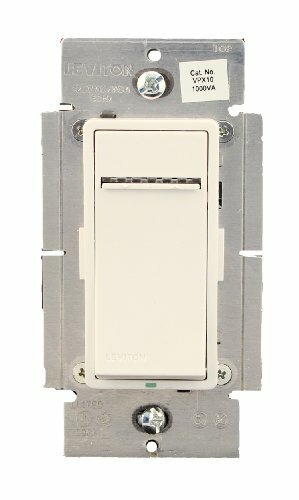 Leviton Decora Rocker Slide Dimmers provide smooth, slide-action, full-range dimming for incandescent, dimmable LEDs, dimmable CFLs, halogen, magnetic low voltage (MLV), electronic low voltage (ELV) and fluorescent loads. The line also includes a Fan Speed Control. 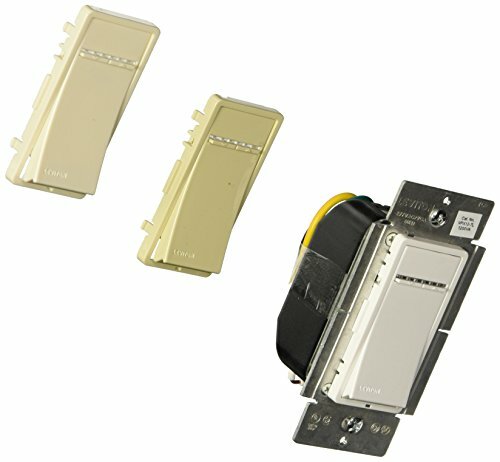 Decora Rocker Slide Controls are designed for both single pole (one location) and 3-way (two location) applications. 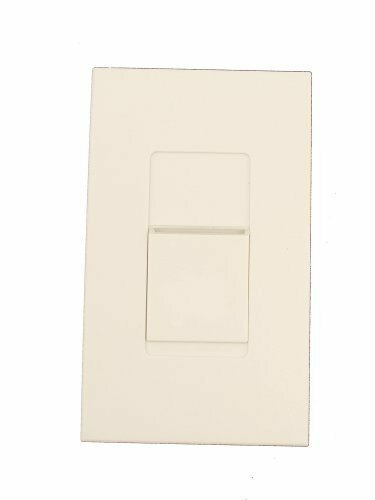 They feature our hallmark Decora rocker switch that provides preset ON/OFF switching and a smooth, integrated slide bar for fine adjustment of lighting levels. Color change kits simplify inventory by reducing the need for stocking separate devices in every color. With a new, streamlined style, the Decora dimmers and fan speed control complement any interior design and are compatible with other Decora devices. 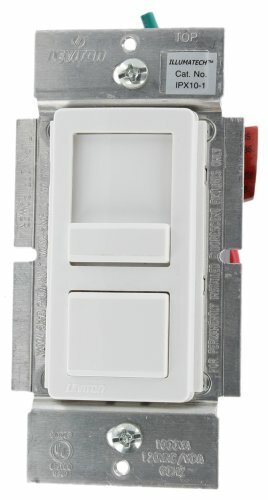 Vizia + 1000VA-120VAC Fluorescent Dimmer for Mark 10 Powerline or Tu-Wire Ballasts for single pole, 3-way or more applications, with LED locator and brightness display. White face assembled on device, ivory and light almond faces included.